Richard Keightley (The Mousetrap, St Martin’s Theatre) starring as George alongside Matthew Wynn (Hamlet, The Almeida; Measure for Measure, Young Vic) as Lennie, they will be joined on stage by Andrew Boyer (Candy), Cameron Robertson (Slim), Darren Bancroft (Carlson), Kevin Mathurin (Crooks), Harry Egan (Whit), Kamran Darabi Ford (Curley), Rosemary Boyle (Curley’s Wife), and Robert Ashe (The Boss). Set in the trying times of the Great Depression, when millions were forced to travel in search of a job and their dreams, Of Mice and Men is a powerful portrait of the American spirit and a heart-breaking testament to the bonds of friendship and what it means to be human. Considered a challenging and controversial play this brand-new adaptation promises to bring to the stage a magical and imaginative story about trying to hold on to your dreams and friendships during fiercely tough times and a faceless destiny. A tale still relevant to modern times. 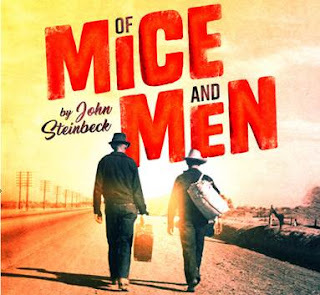 Discover Of Mice and Men at a theatre near you visit www.selladoor.com for more information and full tour details.